Made up of its capital city, Belfast, and six diverse counties, Northern Ireland has an impressive combination of vibrant cities, rugged coastlines, huge peaks, and peaceful lakes. If you have enough time, driving along the Causeway Coastal Route is a great way to see some of the most scenic parts of this nation. Northern Ireland’s capital is full of history. From the ship-making exhibitions in the Titanic Museum to the natural science displays in the Ulster Museum, Belfast has it all! You can also treat yourself to some tasty treats or unique arts and crafts in the huge indoor St George’s Market, or enjoy the many bars and traditional pubs in the Cathedral Quarter. 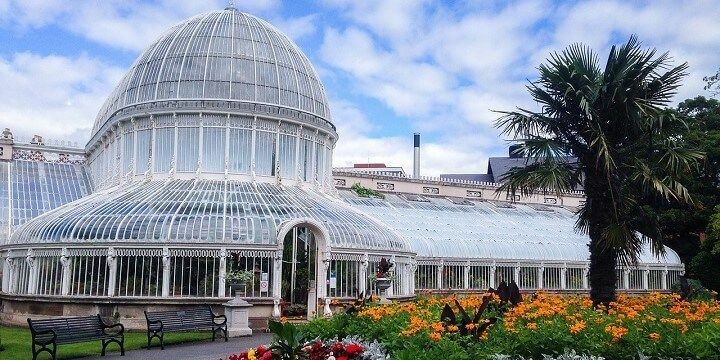 Take a break in Belfast's Botanic Gardens. If you prefer to keep things quiet, head to the gorgeous Botanic Gardens, adjacent to Queen’s University, regularly voted one of the UK’s most beautiful university campuses. County Antrim’s coastline boasts several impressive landmarks. The Giant’s Causeway, for example, is a series of unique basalt rock columns that jut out from the Atlantic. 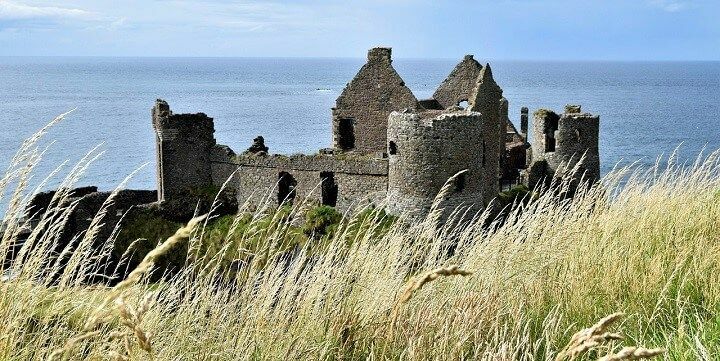 Along the coast, you’ll also find the Dunluce Castle, which sits precariously on the edge of a cliff. Dunluce Castle sits on the edge of a cliff in the County Antrim. If you’d rather enjoy the ocean views from the sand, head to White Rocks Beach for powerful waves that are great for experienced surfers. After exploring the county’s natural beauty, treat yourself to the Bushmills Whiskey Distillery for guided tours and delicious tasting sessions. The city of Armagh has a range of impressive architecture, from the gothic St. Patrick’s Cathedral to the scenic Georgian Mall. 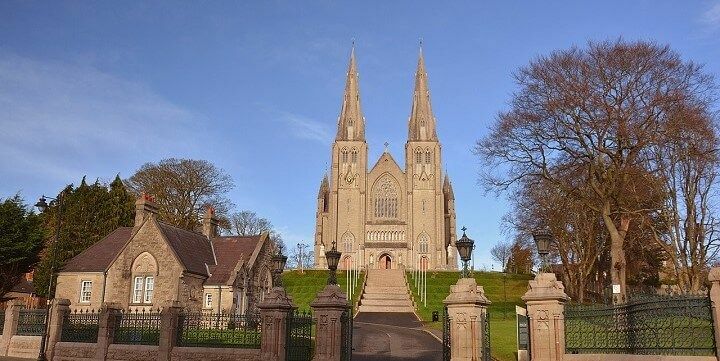 The city of Armagh features impressive buildings like the St. Patrick's Cathedral. You can also explore the Armagh Robinson Library, which houses the first edition of Guliver’s Travels. Further out of the city, you’ll find gorgeous natural sights, such as Oxford Island for hiking and bird watching, and the Craigavon Lakes, where you can kayak, waterski, windsurf, sail, or canoe. The city of Londonderry is becoming increasingly popular and rightfully so! Get a feel for the city by walking along the 1.6-kilometer-long City Walls. These are the only intact city walls in Ireland and feature 24 original canons and four impressive gates. 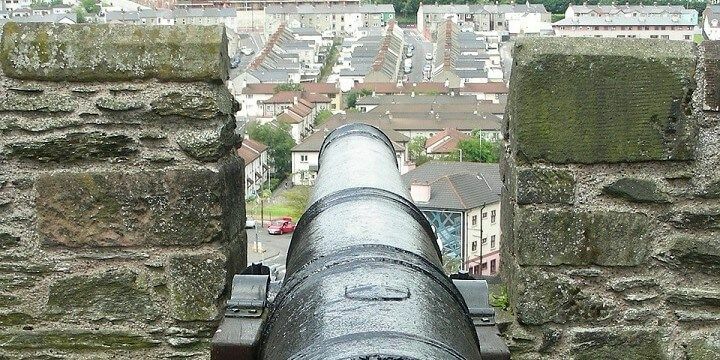 Londonderry's City Walls are 1.6 kilometers long. After leaving Londonderry, also known as the UK’s first City of Culture, check out the county’s coastline. Portstewart Strand is perfect for wintry walks and summer sunbathing sessions. At the end of the beach, you’ll find Barmouth Wildlife Reserve, which is a great bird watching spot. The circular Mussenden Temple is located further along the coast. The 18th-century clifftop temple is a great base for hiking and exploring the Downhill Beach. Adrenaline junkies need look no further than County Tyrone. From mountain biking over table tops and rock drops in the Clogher Valley to hiking in the Sperrin Mountains, there’s plenty in this county to get your heart beat racing! There’s also an abundance of historic sights, such as the Beaghmore Stone Circles. No one knows why these seven circles were formed; they could have been a random Bronze Age collection, or they might have some kind of spiritual meaning! Nature lovers will adore the Mountains of Mourne, which inspired C. S. Lewis’ Narnia. Thrill-seekers can hike to the peak of Slieve Donard, while those with a fear of heights can roam around the mossy Tollymore Forest Park below. If you’re after coastal beauty, head to Strangford Lough. The largest inlet in the British Isles offers peaceful bays and coves, as well as gorgeous views back over the mainland. 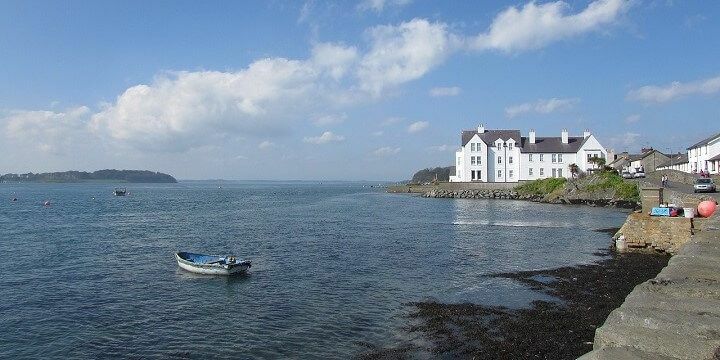 Strangford Lough features peaceful bays and coves. Major landmarks in County Down include Mount Stewart, an aristocratic home with five gorgeous gardens, and the Down Cathedral, the final resting place of St. Patrick. 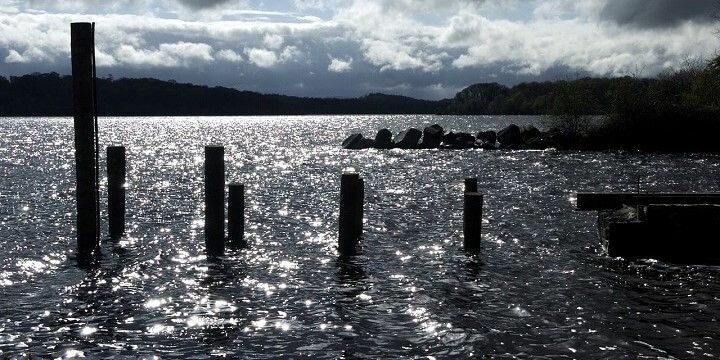 Known as Northern Ireland’s Lake District, you can’t leave County Fermanagh without exploring Lough Erne. These two huge connecting lakes are perfect for fishing, canoeing, and kayaking. County Fermanagh is known as Northern Ireland's Lake District. You should also check out the Marble Arch Caves. The unique rock formations are best explored by subterranean boat, before roaming around the park’s historic monuments, such as forts and monasteries, on foot. Speaking of history, this county is also home to Florence Court, an old mansion surrounded by 15 kilometers of walking trails. It’s also worth visiting the 600-year-old Enniskillen Castle for two fascinating museums, which teach visitors about the history of the Fermanagh. Northern Ireland is an incredible destination with history both old and new. The landscape is like no other, with incredibly welcoming and friendly locals too! So much natural beauty to explore!